1. Moon is our mind. How we think and react to the world around us depends on the Moon's position in Horoscope. 2. Moon represents Mother and other Motherly figures in our life. 3. 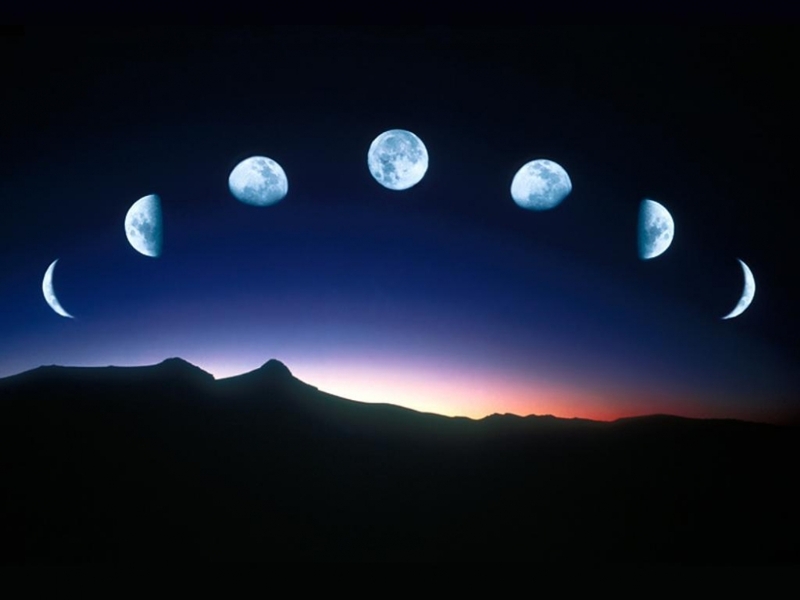 Moon represents emotions or lack of emotions, depending upon its position. 4. Moon represents Local or State Government. 5. In my opinion, Moon is most important of all planets. I am not belittling the importance of other planets but I would always wish to have good position of Moon in horoscope, no matter where other planets are positioned. And the reason is that Moon is our mind. If mind is working fine, person will come out of any mess in his life but if mind is not feeling so well, then person may end up in losing whatever he has. So, Moon is THE MOST IMPORTANT PLANET, for me at least. Nature - Now, here is fun part related with the nature of Moon. Is it Benefic or Malefic? And this is the reason why I chose this picture. So, Moon waxes and wanes. For about 14 days in a month, its size increases (waxing) and for another 14 days time, its size decreases (waning). So, Moon is benefic when it is waxing and it is malefic when it is waning . Never start any new work or business when Moon is waning. That's why, all of our ancient festivals were on Amavasya (no moon day) as Moon starts waxing after that. Maturity Age - Every planet has a maturity age, after attaining that age, no matter the planet is benefic, malefic or mild-malefic, it starts giving more positive results, for the simple reason that it has attained the maturity and taught all the lessons to individual till that age. Moon's maturity age is 24 years. So, when a person completes 24 years of age, Moon in his horoscope is matured and will start giving more positive results.